Teachers, bankers, attorneys, developers and others unintentionally flushed more than $2 million down the drain in their battle over a proposed constitutional amendment to raise taxes on investment properties to fund public education. The Hawaii Supreme Court invalidated the ballot issue Oct. 19 — rendering meaningless all the money spent trying to sway voters in the Nov. 6 election. Since the Aug. 11 primary, more cash was being spent on the proposed constitutional amendment than any other issue or race. The other statewide ballot issue, which asks voters if they want to hold a constitutional convention, has drawn $665,000 in opposition. There aren’t any political committees fighting or raising money for a ConCon, as it’s commonly called, and recent polling indicated it wasn’t likely to pass. Public-worker unions came out strong against the ConCon. The Hawaii Government Employees Association, Hawaii State Teachers Association, Hawaii Fire Fighters Association, University of Hawaii Professional Assembly and National Education Association donated money to defeat it. Together they formed a group called Preserve Our Hawaii that spent more than $600,000 on TV, radio, print and online ads between Sept. 27 and Oct. 22, according to their latest disclosure reports filed with the state Campaign Spending Commission. Opponents contend there is too much to lose by opening up the state’s founding document to a constitutional convention, which involves electing delegates as members of the convention who draft changes to the constitution — bypassing the normal legislative process. They are particularly concerned about the potential to erode environmental and collective-bargaining provisions. Supporters say a ConCon represents an opportunity for the public to revisit the state constitution for the first time since 1978. Measures that have long stalled in the Legislature could find new energy there, such as term limits for state lawmakers, referendum and recall. The constitutional amendment to create an education tax, which will still appear on the ballot but won’t count, was drawing money for and against it. HSTA, which represents about 13,000 teachers, raised nearly $513,00 for the campaign to pass it through a group called HSTA for Schools Our Keiki Deserve. NEA, the union’s parent, kicked in another $344,000 to the campaign, including a quarter-million infusion on Oct. 15 — just four days before the high court nullified it. The teachers union was outspent by opponents though, who formed a political action committee called the Affordable Hawaii Coalition. The PAC pooled $1.2 million to defeat the amendment. 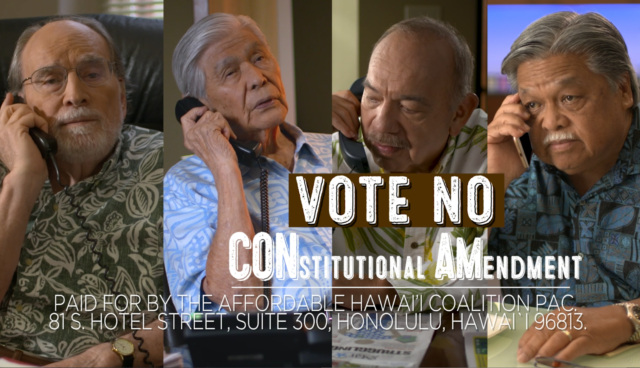 The Affordable Hawaii Coalition PAC, primarily funded by realtors and the Chamber of Commerce Hawaii, raised $1.2 million to stop the ConAm, which was recently thrown out by the Supreme Court. The money against it came primarily from the Chamber of Commerce Hawaii, which contributed $600,000, and the National Association of Realtors, which put in $200,000. The rest came from law firms, such as Cades Schutte; car dealers, including King Auto Group; bankers, including $10,000 from Central Pacific Bank PAC; the tourism industry, like Park Hotels and Resorts’ $50,000; landowners like Castle & Cooke; private unions, including $25,000 from the Hawaii Carpenters Market Recovery Program Fund; contractors, such as the General Contractors Association of Hawaii PAC; ABC Stores; Tori Richard’s CEO Josh Feldman and others. The money on both sides was spent on advertising blitzes to convince voters it was a good or bad idea. Proponents had argued that Hawaii’s schools are failing, teachers deserve pay raises and there isn’t enough money in the state’s $14 billion budget to give public education the financial support it needs without a new revenue stream. Opponents had highlighted Hawaii’s extremely high cost of living, government inefficiencies and the amendment’s lack of clarity as reasons to vote against it. The measure would have left it up to the Legislature to determine what “investment properties” are, how much they should be taxed and where exactly the money would go. Tommy Waters has raised more money since the Aug. 12 primary than his opponent, incumbent Trevor Ozawa, in the heated race to represent Honolulu City Council District 4. Waters raised $108,879, according to the latest campaign finance reports, bringing the total his campaign raised this election period to $163,929. Ozawa’s campaign has brought in $65,663 since the primary, adding to his campaign’s hefty coffers of $509,475. Major developers in Hawaii contributed to Ozawa’s campaign, including R.M. Towill Corporation, Bert T. Kobayashi Jr., and Ko Olina developer Jeff Stone. Another prominent local developer, The MacNaughton Group, gave to Waters’ campaign. Waters and Ozawa are once again locked in a race that will decide the balance of power at Honolulu Hale. Waters, who is an ally of Mayor Kirk Caldwell, lost to Ozawa by 41 votes for the same seat in 2014. In the August primary Ozawa got 40.4 percent of the vote and Waters had 31.3 percent, according to the state Office of Elections. Ozawa spent $112,633 since the primary and had $81,050 on hand as of late Monday, when the latest campaign finance reports were filed. Waters spent $71,433 in the same period and had $56,031 on hand. In the race for Honolulu City Council District 8, which includes Aiea, Pearl City and Waipahu, incumbent Councilman Brandon Elefante raised $103,515 since the primary. His campaign spent $78,676 and had $51,809 on hand as of Monday. Kelly Kitashima, who is running against Elefante, raised $27,550. She spent $30,709 and has $10,266 on hand. Maui mayoral candidate Michael Victorino, a former council member, has pulled in $179,448 since the August primary election. His major donations came from members of the Kobayashi development firm in Honolulu; James Haynes, CEO of Maui Petroleum; Arun Sharma, president of Anaergia SVCA; the Hawaii Association of Realtors PAC; the Hawaii Firefighters Association; and James Falk Motors of Maui. Since the primary, Victorino’s campaign spent $134,829 on advertising, fundraising events and rent for office and event spaces. He’s significantly outraised his opponent, Elle Cochran, who pulled in just $29,545. 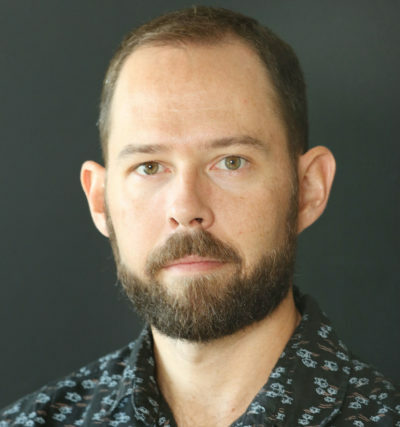 Campaign finance reports show that Cochran, who is a current member of the Maui County Council, spent $28,249 since the primary. Cochran’s largest contributions of $2,000 came from Kim Coco Iwamoto and the Maui Tropical Plantation. In the entire election season, Victorino and Cochran have spent $374,667 and $188,836 respectively. On Kauai, mayoral candidate Derek Kawakami seems to have slowed his fundraising efforts after capturing nearly half of Kauai voters in the primary election. He’s raised just $29,140, mostly from individuals, since then and spent about $82,365. He still ended this filing period with a surplus of $15,222 in his campaign chest. Kauai’s other mayoral candidate, Mel Rapozo, raked in more campaign cash than Kawakami since the primary but was still outspent. Much of Rapozo’s $52,289 in contributions this filing period came from individuals along with a $1,000 donation from Alexander & Baldwin.